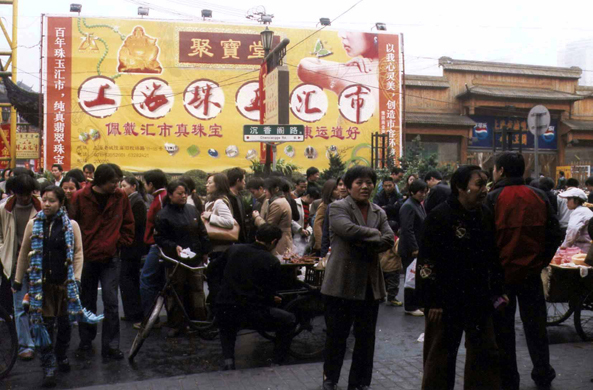 A street in Nanshi. If it is advised to learn some Chinese words, English remains the surest means of communication. There exists since 1958 a phonetic and alphabetical transcription of the Chinese characters, the pinyin. If the pronunciation of the words remains random, it makes it possible to find a name in the subway and on a plan.